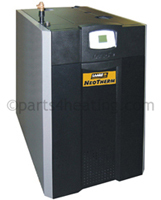 At Parts4Heating.com, we stock a wide selection of Laars NeoTherm parts for NTV series boilers. Our inventory of NeoTherm boiler parts ranges from manual gas valves to pressure switches. If you’re in need of same day shipping, don’t worry, because our NeoTherm replacement parts are in stock and ready to ship. If you have questions about any of our Laars NeoTherm boiler parts, feel free to contact us and speak to one of our NeoTherm parts experts today.